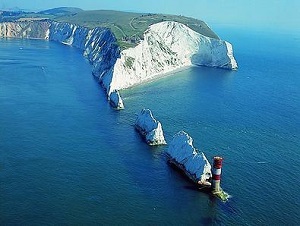 The Isle of Wight is some 23 miles west to east, from the Needles to Bembridge, and 13 miles north to south, from Cowes to St Catherine’s Point. For a cycling holiday you’ll always remember, no Island comes close. Each season has its own special charm. The Island boasts 60 miles of spectacular coastline, with picturesque coves and beautiful bays of golden sand with safe bathing. Known as the “Garden Isle”, this jewel of England indeed resembles a diamond in shape and is a treasure trove of historic and prehistoric interest. Dinosaurs, ancient tribes, Romans and monarchs throughout the ages have left behind a fascinating trail into the past. The Island was once a frequent haunt of many eminent and historically important people including Charles Dickens, Lewis Carroll, JMW Turner, Henry VIII and Queen Victoria. 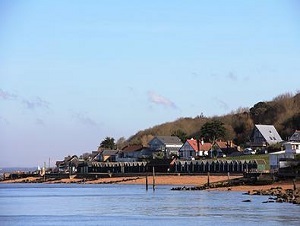 The Isle of Wight is some 23 miles west to east, from the Needles to Bembridge, and 13 miles north to south, from Cowes to St Catherine’s Point. This, the smallest, and perhaps the most geographically diverse, of England’s counties covers 147 square miles and is bounded by about 60 miles of coastline an ideal Cycling holiday destination. Within this watery border of the Solent to the north and the English Channel to the south, lies an “England in miniature”. The natural processes of deposition, folding and erosion during the last 120 million years have resulted in the rich variety of the Island’s surface geology. 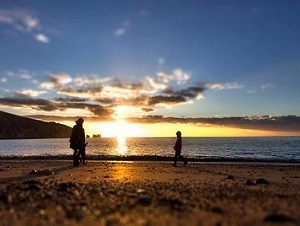 The results are kaleidoscopic contrasts in the Island’s scenery encompassing open download, beech woods, conifer forests, grazing land, wide sandy beaches, seer cliffs, rocky coves, creeks and estuaries. The Island is a haven for wildlife, renowned for its rare flora and fauna such as wild orchids, Glanville fritillary butterflies, little egrets and the majestic buzzards circling above the ro lling farmland and, of course, the rare red squirrel are just a few of the delights you may well see.